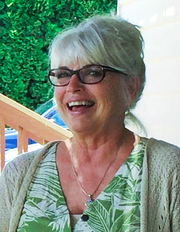 An import to Humboldt County, Garnette entered Real Estate in 1999, after 30 plus years of successful teaching. A love of people and an enthusiasm for the simple things in life, make her approach to sales non-threatening, yet timely and efficient. An involved parent and active church member are the central focus of extra curricular time. Interests revolve around music, church, nature and children's fine arts. With a love for the senior citizens and their special relocation needs, call Garnette with your next real estate question.